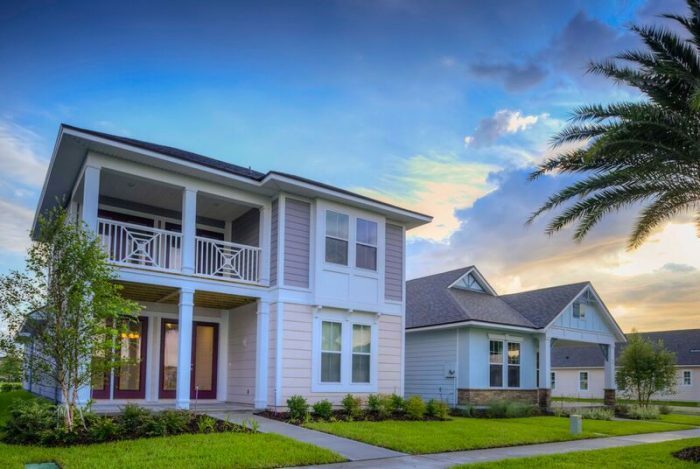 Providence Homes has six stunning model homes located within Nocatee entered in the 2016 Northeast Florida Builders Association Parade of Homes which starts this weekend! They will be open to tour throughout the Parade. Please stop by and see us! At The Crossing At Twenty Mile, you can tour three homes, The Lafayette, The Telford, and The Fanning. The 3,049 sq. ft. Lafayette is located at 63 Woodview Court, and features 4 bedrooms, 3.5 baths, and a 3-car garage. The Telford, located at 75 Woodview Court, has 2,208 sq. ft. of living space, including 3 bedrooms, 2 baths, and a 2- car garage. And The Fanning at 83 Woodview Court is 2,320 sq. ft., with 3 bedrooms, 3.5 baths, and a 2- car garage. We have two models at Twenty Mile Village, the Madison and the Carlton. The Madison, located at 605 Eagle Rock Drive, has 3,426 sq. ft. of living space, with 4 bedrooms, 3.5 baths, and a 3-car garage. And The Carlton at 88 Jackrabbit Trail features 3 bedrooms, 2.5 baths, and a 2- car garage, with 2,104 sq. ft. of living space. And at Addison Park, we have the lovely Bryant model. Located at 65 Morningstar Way, this 1,883 sq. ft. home has 3 bedrooms, 2 baths, and a 2- car garage. The Northeast Florida Builders Association Parade of Homes runs from Saturday, April 16th –through Sunday April 24th. Don’t miss your chance to tour our gorgeous models – and maybe find the Providence home of your dreams!